The longest stretch of pristine, powdery soft beach as far as your eyes can see, flanked by the glittering azure waters on one side and lush tropical nature on the other. Veligandu Island Resort & Spa is an island that captures the whimsical essence of paradise. Ranked numerous times as one of the most romantic places on earth, Veligandu is a dream destination for leisurely excitement, whether you are on your honeymoon, long-overdue romantic getaway or celebrating an anniversary. In Veligandu, we believe in creating exceptional experiences that allow you to get closer as you create timeless memories. Here are our top 4 picks. There is nothing more romantic than spending time with your loved one on the pillowy-soft beach, indulging in a lovely meal or simply watching the sun set over the expansive sea. With our beach dining options, you can savour treats served against the backdrop of the sea, in a private section of the beach or with the delightful company of other guests. The soft sand under your feet, the breeze on your skin, the lovely company and the enchanting ambience make for a truly unforgettable experience. Enjoying great adventures together is what love is all about. In Veligandu, that adventure can also be at sea. Grab some fins and masks and take on the underwater wonderland that is teeming with marine life. There is much of the lively and diverse marine life to see. With our Private Manta & Turtle Snorkelling trip, the two of you can explore the lagoon together. Similarly, our Romantic Love Boat Sailing, which is exclusive for couples, allows you to take in the seascape with your loved one as the experienced Captain sails with you on a Dhoni. Picture the two of you under the shimmering night sky, with the sounds of the waves surrounding you, and a private island to yourself. After dinner, we will drop you on our private island, where you can sleep just next to the shore, watching the great Maldivian sky. This idyllic escape that comes with a full bottle of champagne allows you to get lost in the wondrous nature, and each other, with modern comforts right at hand. Finally, we highly recommend the Him & Her Massage from award-winning Duniye Spa. Tailored for pure romantic indulgence, this treatment will transport the two of you into a realm of tranquillity. Let the expert therapists ease your worries with the restoring and calming Balinese Massage. Afterwards, toast to one another as you sip on the champagne that follows the treatment. Planning your romantic getaway to enjoy all wondrous paradise? Check out special offers and book now. The awe-inspiring views, secluded beaches and eternal summer make the Maldives the perfect retreat for couples. There is something about the air here that sings romance. Looking to rekindle the sparks in your relationship, celebrate a birthday or an anniversary? 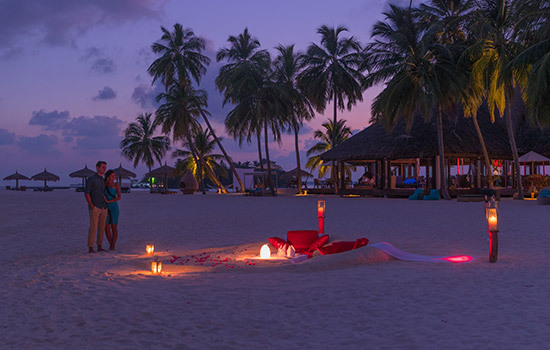 We have compiled a few tips that will help you plan the perfect romantic getaway to Veligandu Island Resort & Spa. Veligandu is a picturesque destination with lots of charm. From the palm-fringed, endless white beaches to the lavish facilities, it is an island custom-made for romance. To be able to enjoy all that the island offers, you need to set aside enough time to sample all its delights. The last thing you want is a hurried vacation, where it feels like you are hopping from one activity to the next in quick succession. Mark out time for activities, rest and relaxation. Enjoy an elaborate dinner on the beach with discreet but doting attention from our staff, and artfully prepared delicacies from our chefs. Charter a Dhoni and sail off into the sunset, drink in hand as our experienced captain shows you the mesmerising island. Head out into the night on a stargazing cruise and get closer as you watch the stars above. These are just some examples of the numerous activities you and your loved one can take part in at Veligandu. Our team puts together these activities with utmost care to help you create timeless memories, through hassle-free experiences. As you decide which activities you would like to sign up for, be sure to pick experiences that you both find exciting. The idea is to do things that you both enjoy, together. A great way of bonding is by trying something new together. At Veligandu, there are ample opportunities for that on both land and at sea. From island hopping, big game fishing, private night snorkelling to an island game of table tennis, you will be spoilt for choice. Take advantage of our drone package and document your romantic getaway in a new way. Or, go on the greatest adventure of all and have a symbolic wedding on the beach. Our team will arrange all the small touches that will make this an occasion to remember. When it’s done, your ‘just married’ Dhoni will carry you off into the horizon. A romantic island getaway is easy to plan with a little creativity and a supportive team. And, on the most romantic destination in the world, it is definitely, a lot easier. Have a look at our special offers and book your next romantic adventure. Kick-off the New Year with fun and exciting trips around the beautiful Maldives. Veligandu Island Resort & Spa offers a variety of excursionsto add to your holiday needs, from local island trips to Kuramathi or Rasdhoo Island, where you can explore the local culture and livelihood with a chance to shop for souvenirs to a tour of Male’ City, Big Game Fishing and even Whale Shark excursions. For a more romantic experience, opt for private trips such as Love Boat Sailing, Private Night Snorkelling or Star Gazing. If fitness is on your list of goals for 2019, a new water sports activity while on holiday provides the ideal combination. You get to work on your core muscles while breezing through the stunning turquoise waters around the island. The Ocean Sports Centre offers motorised and non-motorised water sports lessons customised according to your desired level of adventure. Dinners on the soft and expansive beach at Veligandu are highly recommended for the timeless memories that they offer. A private beach dinner includes an intimate and romantic setting for you and your loved one while our chefs take you on a gastronomic journey with a uniquely crafted menu. What could be better than saying “I do” to your sweetheart? Saying it once more in one of the most romantic destinations in the world. As an award-winning romantic resort in the Maldives, Veligandu is the perfect place to renew your vows and promise forever together with the hue of tropical paradise as your backdrop. 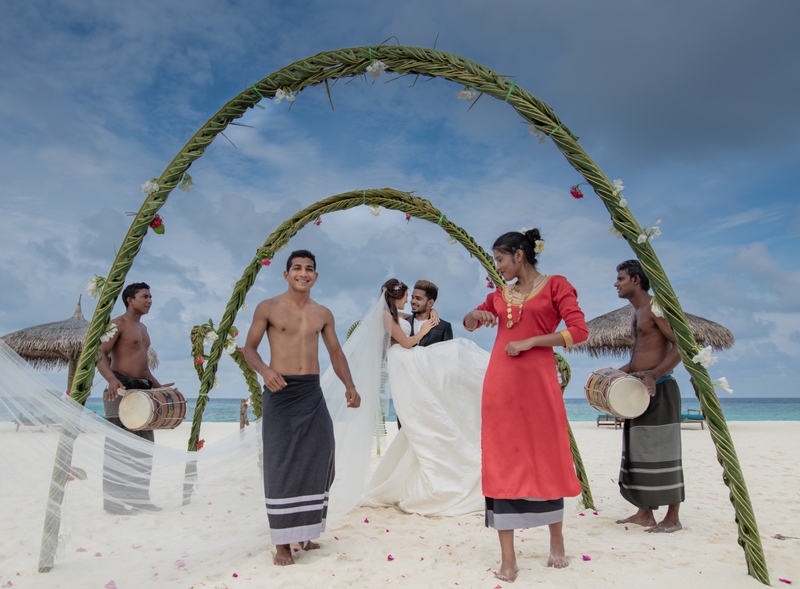 Choose your own celebration or a traditional Maldivian ceremony, complete with bridal party and Bodu Beru group. Experiencing the indulgent treatments at Duniye Spa is one of the most memorable highlights of any stay at Veligandu and the best way to start your year. 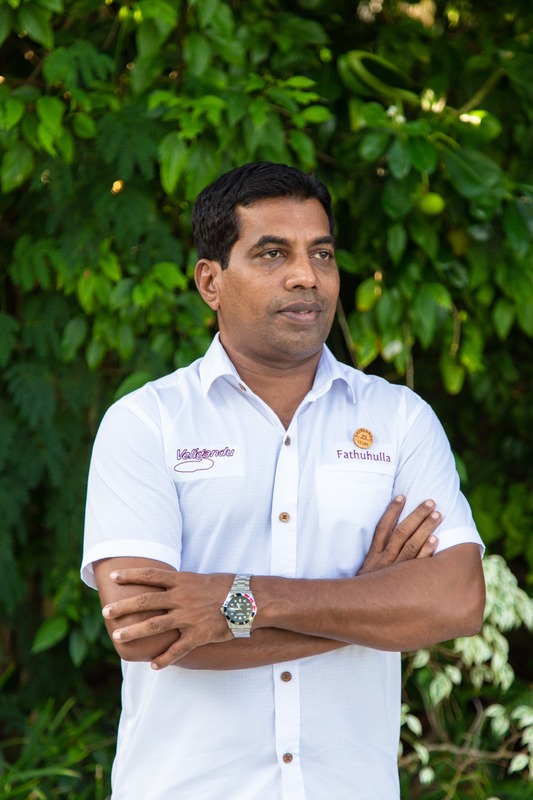 With a holistic philosophy to nurture your body, calm your mind and inspire your soul, each treatment caters to your individual needs while the ritual itself induces a state of calm and relaxation throughout. Capturing your holiday experiences allows you to relive them when that travel bug hits and you find yourself missing the sunny island life. Veligandu’s Drone Package offers you a trip to a scenic trip to the nearby Madivaru Finolhu Island for a 2-hour photoshoot session, as well as high-quality images and video from the revered DJI Phantom 4 Pro camera drone captured by our professional in-house photography studio, Raalhu Photo. Now you can relive these moments in superb video, wherever you are in the world. 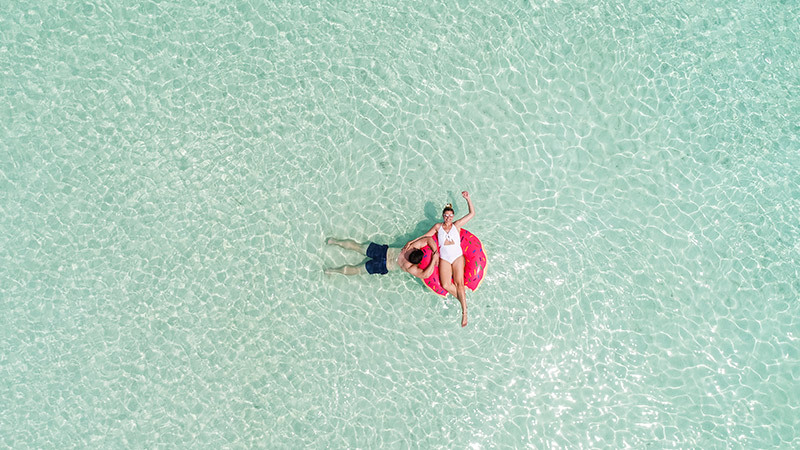 Last but not least, share your dreamy holiday memories of 2019 at Veligandu with your friends and family across social media, whether your first or you 10th visit to paradise, each trip deserves a share. Remember to tag the resort on Instagram, Facebook and Twitter. The early bird gets the exceptional discount. Check out our special offers page.